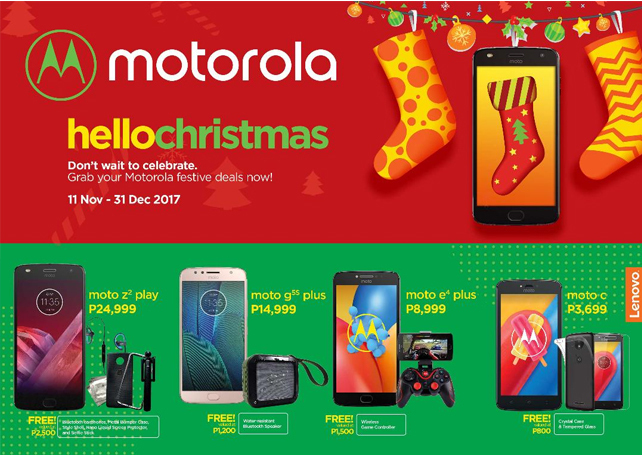 Running until December 31, Motorola’s Christmas promo aims to give cheap deals and freebies to those visiting Motorola Experience Stores and authorized dealers. On offer is the Moto Z, whose TurboPower charging injects up to eight hours of battery life in just 15 minutes. 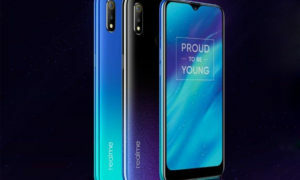 The phone uses aircraft-grade aluminum chassis for durability. The phone lists at P29,999, with a free Incipio PowerPack mod. The Moto Z2 Play’s camera has dual autofocus pixels and laser autofocus technology. It comes with a free Moto Gift Box and Over-the-Ear Bluetooth Headphones for only P24,999. Enjoy up to 50 hours of smartphone battery life with the Moto Z Play, available for P19,999, with a free Incipio PowerPack mod. The Moto G5s Plus sells for P14,999, and has 13MP+13MP dual rear cameras and 8MP wide-angle front camera. This Christmas, the Moto G5s Plus comes with a free water and dust-resistant and shock-proof Bluetooth speaker. The Moto G5s, features a rapid-focus 16MP rear camera and a 5MP selfie camera, and 32GB memory. For P10,999, the Moto G5S comes with a pair of free In-Ear Bluetooth Headphones. The Moto E4 Plus features a 5000mAh battery, a 1.3GHz quad-core processor and 3GB RAM. Store up to 32GB worth of games for P8,999. A free Bluetooth Gamepad is offered. For P3,699 for the Moto C and P5,999 for the Moto C Plus, the Moto C family has quad-core processor and Android Nougat OS. The Moto C and Moto C Plus feature a micro-textured back cover for added grip. They offer added flexibility with two SIM slots and a microSD support for extra storage. 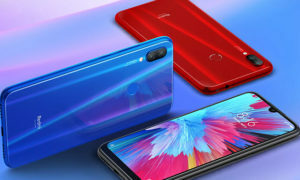 The Moto C comes bundled with a free tempered glass screen protector and jelly case. The Moto C Plus has a free tempered glass screen protector, jelly case, and Bluetooth mono earphones.